An online workshop designed by Sumayah Hassan, that challenges you to rethink the way you experience the Quran. 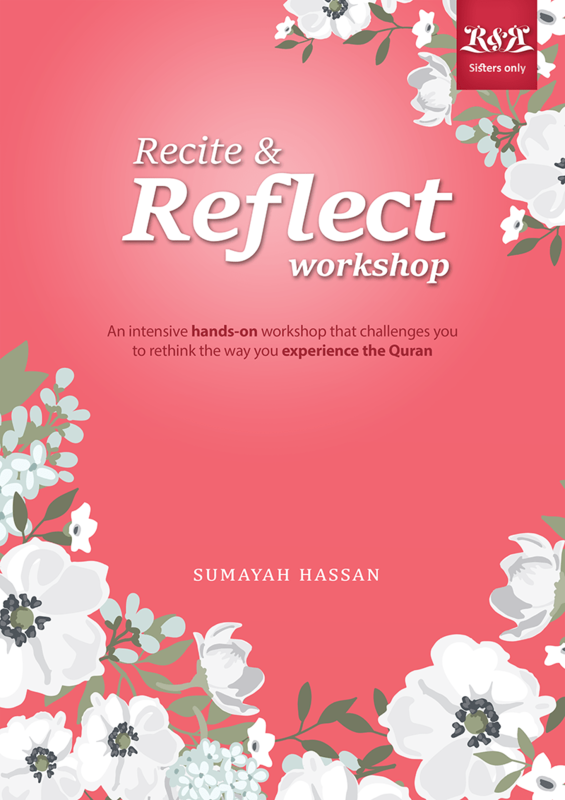 The Recite & Reflect Online workshop is specifically designed to help you connect with the Quran on a personal level: relate it to your everyday life, ask the right questions, derive lessons and come up with the action points that become the first steps of your journey to being transformed by the Quran. 90-minute class recordings with the course slides and live class audio. Assignments to be submitted online, that give you the opportunity to practice reflecting on the Quran and help you take a closer look at how you personally engage with the Quran and the ways you can build on that and improve inshallah.